Discussion in 'Effects, Pedals, Strings & Things' started by NewarkWilder, Sep 15, 2008. Or only on rare occasion... Seems like almost everything pops up from time to time, but there are a few that come to mind that you just don't ever seem to see. I guess that means everybody who buys them keeps them? Empress Super Delay - Can anyone think of the last time one went up? I'm sure I missed it but theres not one in the search and I can't remember seeing one in the past. I've only seen two Psionic Audio Triads. Ever. I bought the first one. The second one was removed! Also have never seen a Retroman Ubervibe. I actually got mine in the Emp a few months ago! I was thinking this very same thing the other day. I never see the MI Audio Neo or GI Fuzz in there. Divided By 13 Stardust fuzz. I've only seen one listed here ever, and that was about 3 years ago. It's safely on my board. Stumbled across one other example on a Japanese gear site a while back, should've grabbed it when I had the chance. 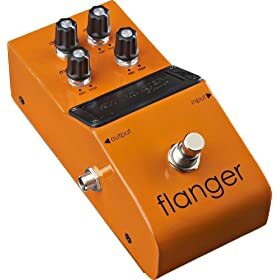 I'm shocked - utterly shocked - that we don't see more of some of these uber-boutique, rarely built, rarely bought and expensive pedals for sale, more frequently, in the Emporium. i'm not particularly surprised you don't see Pete Cornish stuff up for sale all the time, but there are a few that have been mentioned already that are actually surprising not to see every once in a while. I mean... my example, the Super Delay. You see its peers come up pretty often. Theres been several Timefactors up lately, you see the occasional Timeline or Memory Lane... but no SD. Thats what this thread is about. Thanks for your take on it though... I guess? I don't see a ton of SIB stuff. Although I think there is a Cuda right now. Pedals that were popular last year generally dont show up too often. For example, there aren't many roadhouse eternities for sale now.